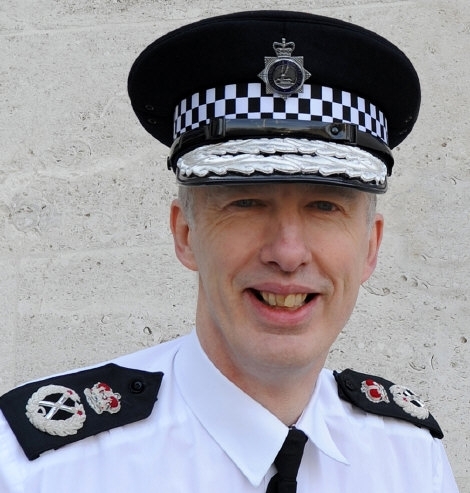 Hertfordshire Chief Constable Andy Bliss has announced he will retire at the end of the summer. CC Bliss was appointed in 2011 joining from Essex Police where he was deputy chief constable. He joined Sussex Police as a PC in 1982 and progressed through each rank up to superintendent working as both a uniform and detective officer. As a detective inspector he was seconded to work as a regional crime squad officer in London in the area of international and organised crime. He became divisional commander in West Sussex in 1998 before taking command of the Brighton and Hove Division. In 2004 he was appointed assistant chief constable of Essex Police and became deputy chief in 2006. After five years serving Hertfordshire Constabulary, Chief Constable Bliss confirmed plans to retire from policing later this year. He said: “My time with Hertfordshire has been both challenging and fulfilling and it’s been a big decision to move-on from a job that I love. "I am taking the opportunity to pursue my interest in archaeology and to seek new challenges. I am proud about all the work done by so many dedicated and talented colleagues to keep people safe, catch criminals and tackle emerging crime trends during my time with the force. “The Constabulary is well placed financially and operationally and has a strong sense of direction in terms of meeting the challenges ahead. In recent years and supported by the Police and Crime Commissioner, we have sustained neighbourhood policing and invested in key areas like rural policing, cybercrime and protecting vulnerable people – all vital if we are to continue to be successful in tackling crime." Hertfordshire PCC David Lloyd said: “Andy Bliss is an exceptional chief. He brings a keen intellect and a quiet authority to policing and in everything he does he is urbane. "I will particularly miss his dry sense of humour which often helps to alleviate a tense moment in meetings. On a national basis his successful work to counter illegal drugs in the country has been one of the most important roles in policing. "The whole policing family in Hertfordshire will want to thank him for the brilliant job he has done to keep Hertfordshire a safe place."